Tropical reef-building corals are complex biological systems that depend upon a delicate balance of symbioses among intracellular dinoflagellates (zooxanthellae), bacteria, archaea, viruses, and the coral animal itself. We have used microfluidic experiments and video microscopy to tease apart the chemical and physical interactions underpinning coral health and disease processes at the microscale. For example, we found that coral-associated bacteria, including pathogens, show chemotactic responses toward coral-derived chemical cues, and that pathogen host-seeking behavior is enhanced by rising seawater temperatures. We also showed that reef corals generate complex ciliary flows along their surface, affecting mass transport to and from the coral, and in particular the export of oxygen from zooxanthellar photosynthesis. For more information, please contact Vicente Fernandez (fernandez@ifu.baug.ethz.ch). Viruses coexist with living organisms wherever life is found, and play an integral role in governing ecosystem dynamics. Viruses are non-motile and rely solely on Brownian motion to encounter their hosts, where the infection process initiates with the virus adsorbing to specific sites (called receptors) on the host-cell surface. Estimation of the adsorption efficiency, the fraction of encounters that result in adsorption, represents one of the fundamental bottlenecks in our efforts to quantify virus-host interactions. The adsorption efficiency has remained difficult to measure due to the minuscule size of viruses, and current estimates often approach 100%, implying that most contacts lead to adsorption. For the first time, we have directly quantified the adsorption rate between the planktonic marine cyanobacterium Prochlorococcus and its virus (cyanophage) using real-time imaging based on two-color fluorescent microscopy. 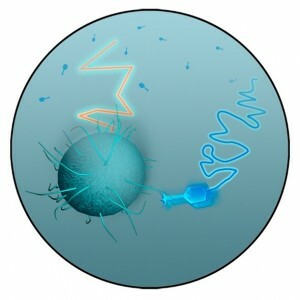 Imaging of thousands of encounters between viruses and hosts enabled accurate quantification of physical interaction rates directly from the trajectories of fluorescently stained, freely diffusing viruses and hosts. This non-invasive, imaging-based approach yielded an adsorption efficiency that was nearly two orders of magnitude lower than previous estimates, suggesting the need to revise our view of interaction rates and the ecosystem implications of viral infection in the ocean. For more information, please contact Kwangmin Son (kwangms@mit.eu). Phytoplankton are photosynthetic microorganisms that form the base of most aquatic food webs and are responsible for half of global photosynthesis. Many species swim using flexible flagella and can reach remarkable speeds (up to 50 body-lengths/s) in relation to their small size (often 5-50 microns). Motility has many consequences within an ocean that is itself in constant motion. For example, using a combination of millifluidic experiments and mathematical modeling, we have shown that phytoplankton motility (biased by velocity gradients in the ambient water through a process called gyrotaxis) can explain the occurrence of the dramatic thin layers of high phytoplankton concentration that are often observed in the ocean and thought to sometimes be precursors of red tides. We also discovered that the velocity gradients that characterize ocean turbulence at the smallest scales can result in strong microscale patchiness in the distribution of phytoplankton, depending on their swimming speed and stability. Coupling of shape and flow could also change light climate in the ocean by increasing the optical backscattering of natural plankton assemblages, through the preferential alignment of elongated plankton induced by fluid shear. However, despite their small size, phytoplankton are not passively at the mercy of fluid flow. 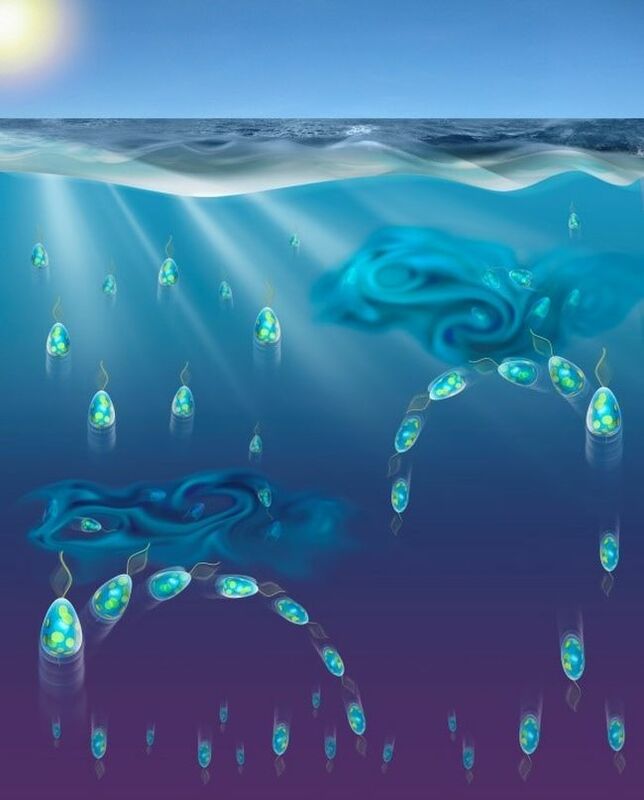 Recently we have found that phytoplankton display a striking, active behavioral response to mechanical cues (periodic changes in orientation relative to gravity) associated with the smallest turbulent eddies in the ocean, whereby a subtle change in morphology triggers a shift in the direction of migration among phytoplankton that commute vertically across the water column. Furthermore, we have recently had the opportunity to test the role of fluctuations in gravity itself by taking phytoplankton on a zero-gravity flight. We are now learning more about the behavioral and adaptive strategies of phytoplankton in the face of turbulence through scaled up experiments in a turbulence tank, together with single-cell tracking and transcriptomics. For more information, please contact Anupam Sengupta (anupams@ethz.ch), Francesco Carrara (carraraf@ethz.ch), Jeanette Wheeler (jwheeler@ethz.ch) or Ulrike Pfreundt (pfreundt@ifu.baug.ethz.ch). Chemotaxis, the ability of cells to detect and respond to a gradient in chemical concentration, plays a central role in microbial ecology, allowing cells to find nutrients, seek hosts or escape toxins. These dynamics occur at the microscale, but underpin a range of macroscale processes such as nutrient flow and remineralization rates in the ocean. We use a combination of microfluidic experiments, single cell tracking techniques, and mathematical modelling to study how different motility strategies affect the response of bacteria to transient and heterogeneous stimuli. We have been developing new microfluidic approaches to create carefully controlled spatial and temporal gradients of single or multiple chemical stimuli. These techniques enable us to directly visualize microbial motion and interactions, but also to physically sort cells according to phenotypic traits (e.g., swimming speed, chemotactic abilities). We are working on quantifying heterogeneity in chemotactic sensitivity within a microbial population using new microfluidic designs. More recently, we have been investigating how swimming speed, sensory noise and sensory adaptation impact the ability of bacteria to detect and accumulate around transient chemical sources. For more information, please contact Francesco Carrara (carraraf@ethz.ch) or Mehdi Salek (salekm@ethz.ch). Current theory assumes that, while evolution has “optimized” microbes via natural selection, diverse species coexist because of trade-offs in their foraging, nutrient uptake, and metabolic strategies. To better understand the structure and dynamics of microbial ecosystems, we must therefore relate microbial behaviors to growth rates in their natural environments. Specifically, we study how microscale nutrient heterogeneity determines the success of different foraging strategies, and ultimately impacts macroscale biogeochemical cycles in the ocean. 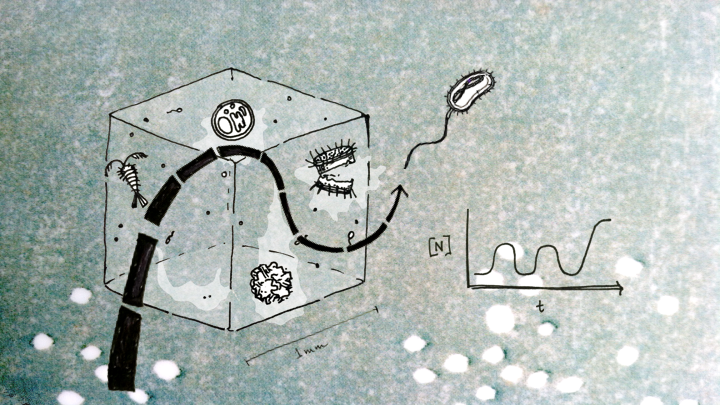 We use concepts from optimal foraging theory to model the foraging behaviors and growth rates of microbes, allied with microfluidic experiments implementing different nutrient landscapes. We are currently working to understand the benefits and costs of copiotrophic strategies, such as motility, metabolic specialization, and surface attachment. For example, our previous experimental work showed that motility increases nutrient uptake from lysing diatoms, and that different strains of a marine microbe coexist by differentially attaching to nutrient particles based on a competition-dispersal trade-off. To gain insight into the swimming strategies of marine bacteria, we used stochastic stability theory to mathematically model them and explore differences in their performance in responding to chemical gradients. Now we are adapting tools from robotics to develop molecular-level resource allocation models that allow us to quantify the proteomic, energetic, and genomic costs of microbial behaviors from first principles. For more information, please contact Francesco Carrara (carraraf@ethz.ch) or Noele Norris (norris@ifu.baug.ethz.ch). Flow is ubiquitous in bacterial habitats, with fundamental consequences for the behavior, ecology and distribution of microorganisms. We use microfluidic experiments, microscale visualization and mathematical modeling to study the interplay between flow and bacterial functional traits, such as shape and motility. For example, we discovered that the coupling of the chirality (‘handedness’) of helical bacterial flagella and velocity gradients in flow leads to preferentially oriented movement, known as rheotaxis. Bacterial rheotaxis is characterized by drift across streamlines originating from reorientation of the cell body due to a lift force acting on the flagellum, and could hamper the quest for nutrients by bacteria. 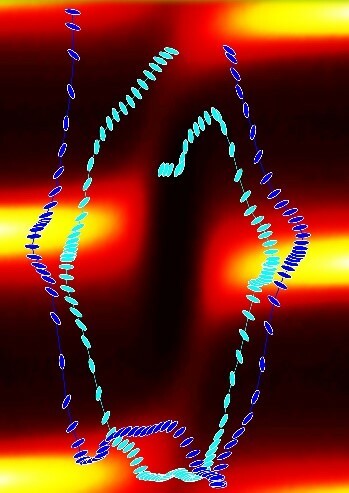 Recently we discovered a novel and counterintuitive phenomenon by which the combination of bacterial motility and shear in flow within a channel results in concentration of cells near the walls, and consequently in a strong enhancement of bacterial attachment to surfaces compared to quiescent conditions. 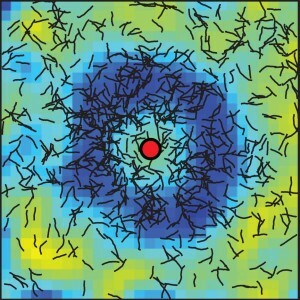 We are now investigating the influence of geometric constraints on the motion of bacteria swimming in flow, with the goal of understanding the transport of bacteria in natural environments, such as groundwater. For more information, please contact Eleonora Secchi (secchi@ifu.baug.ethz.ch) or Dorothee Kurz (kurz@ifu.baug.ethz.ch). Bacteria often adhere to surfaces, where they develop polymer-encased communities (biofilms) that display enhanced resistance to antibiotic treatment and mechanical stresses. A better understanding of bacterial attachment to surfaces may lead to novel strategies for biofilm prevention, disruption and removal. Using micro-contact printing on glass substrates, we have developed a system to produce controlled biofilms by creating hydrophobic patches, which strongly favor bacterial attachment and on which biofilms rapidly develop. 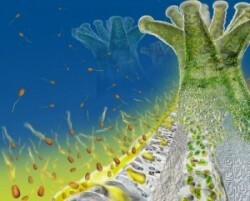 This technique has allowed us to study a number of processes, including the detachment of cells due to the passage of air plugs, and how cell-to-cell communication (quorum sensing) in biofilms depends on the size of the biofilm and the strength of the ambient flow. We are currently studying the development of filamentous biofilms (streamers), using pillars of different diameters as well as discontinuities in microfluidic channels as model systems to understand their formation in topographically complex environments, such as streams, groundwater and porous media. For more information, please contact Eleonora Secchi (secchi@ifu.baug.ethz.ch) or Mehdi Salek (salekm@ethz.ch). The biological pump is the process by which carbon dioxide from the atmosphere is converted into biomass by photosynthesis, undergoes aggregation and sinks to the deep ocean. As they sink, aggregates are degraded by bacteria, which convert the particulate organic carbon (POC) into bacterial biomass or recycle the POC back into the dissolved phase. This degradation process controls the amount of carbon stored in the ocean, with major consequences for the global carbon cycle. We are exploring these microscale processes by focusing on the microbial dynamics around particles, using a vertical millifluidic system as well as microfluidic systems to visualize the degradation of single aggregates under flow. We aim to open a window into the unseen world of the microbial populations that inhabit marine particles, and in doing so, provide a better understanding of the cycling of carbon in the ocean. For more information, please contact Uria Alcolombri (alcolombri@ifu.baug.ethz.ch), Lars Behrendt (behrendt@ifu.baug.ethz.ch) or Anupam Sengupta (anupams@ethz.ch). Photosynthetic cyanobacteria of the genus Trichodesmium are responsible for 30–60% of global marine nitrogen fixation. This conversion of N2 into ammonia fertilizes photosynthesis by other phytoplankton in the ocean and is thereby responsible for the incorporation of 1.5 gigatonnes of carbon from CO2 into biomass, part of which is exported to the deep ocean and thus sequestered from the atmosphere for thousands of years. A fundamental, yet poorly understood aspect of Trichodesmium biology that strongly affects its distribution, metabolism and biogeochemical impact is its ability to self-assemble into aggregates composed of many multicellular filaments. Through lab observations, we have found that self-assembly and disassembly is rapid and uncoupled from growth. 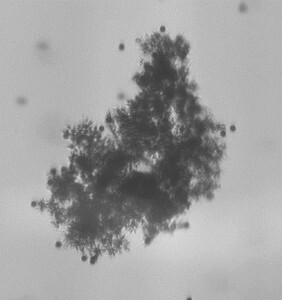 Assembly dynamics are further clearly dependent on the nutrient status of the cells, indicating a role of aggregation for Trichodesmium metabolism. 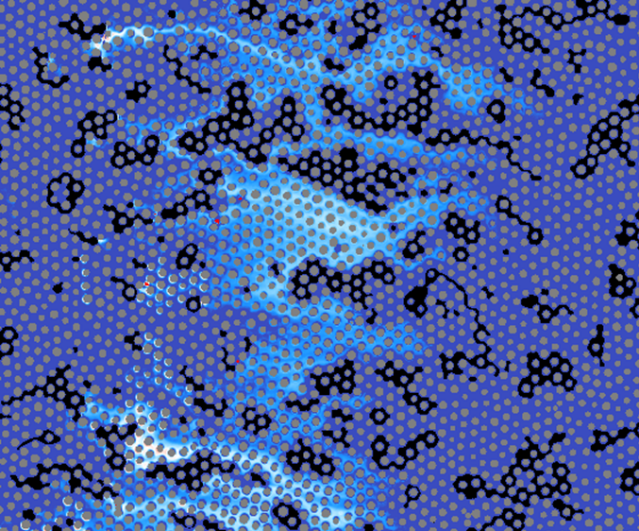 We are now unravelling the mechanics of self-assembly in realistic open-ocean conditions, using time‐lapse video microscopy, quantitative image analysis, turbulence tank experiments, and direct numerical simulations. Integrating the results with ocean simulation data promises to enhance our ability to predict the biogeochemical impact of Trichodesmium in today’s and future oceans, and our understanding of its spatial distribution, migration behavior and bloom formation. For more information, please contact Ulrike Pfreundt (pfreundt@ifu.baug.ethz.ch). Dimethylsulfoniopropionate (DMSP) produced by phytoplankton in the ocean plays a fundamental role in the global sulfur cycle and climate, mediated by the chemical and behavioral ecology of marine microbes. Bacteria in the ocean break down DMSP via two divergent catabolic pathways: one leads to incorporation of the sulfur into biomass, while the other leads to the expulsion of sulfur from the cell as dimethylsulfide (DMS), which affects climate by promoting cloud formation. Uncovering the factors that inform this decision between the two catabolic pathways is important for understanding the effect of bacterial processes on the global sulfur cycle and climate. Because DMSP is released into seawater as microscale point sources – for example through secretion by phytoplankton – the DMSP concentration experienced by individual bacteria can vary strongly over time, making the choice of pathway potentially concentration-dependent. This small-scale variability could thus be a determinant of the fate of DMSP, and thus, the production and release to the atmosphere of DMS. We have designed and built a multi-color fluorescence reporter system in a model marine bacterium to visualize the relative expression of the two DMSP degradation pathways under different DMSP concentrations. Our approach of combining microfluidics, microscopy, and genetic techniques should allow us to predict how molecular-level responses of microbes to microscale features of the environment can ultimately influence large-scale fluxes of sulfur in the ocean. For more information, please contact Cherry Gao (cherryg@ethz.ch). Heterotrophic bacteria depend on the abundance of organic carbon. How they use this carbon, for growth or for energy, affects the balance between what remains as organic carbon and what is mineralized into CO2 – and the cycle of carbon on Earth. To understand how such small creatures control global-scale processes, we use a combination of microfluidics and microscopy to observe the behavior of individual bacteria, in real time as they grow and interact with their microscale environments. Specifically, we built a microfluidic device that generates controlled nutrient fluctuations, with frequencies ranging from seconds to tens of minutes. With such a device, we can mimic the heterogeneous distribution and concentration of nutrients available to aquatic bacteria in nature. Accounting for this microscopic heterogeneity opens several key questions regarding how bacteria interact with their environments: at what timescales do environmental fluctuations affect bacterial behavior and growth? To what features (e.g. magnitude, frequency, duration) of these fluctuations do bacteria respond? How are these responses and response times indicative of bacterial roles in the ecosystem? Already, we have observed distinct swimming and surface-attachment behaviors in response to minute-scale nutrient fluctuations. Thus, bacteria not only respond to rapid fluctuations, but do so in ways that likely affect their growth and physiology. We are now focused on understanding bacterial growth within fluctuating environments, with the ultimate goal of connecting microscopic behaviors to a larger understanding of our planet. For more information, please contact Jen Nguyen (nguyenje@ethz.ch) or Vicente Fernandez (fernandez@ifu.baug.ethz.ch). The activities of marine microbial communities govern biogeochemical transformations and shape ecosystem functions. 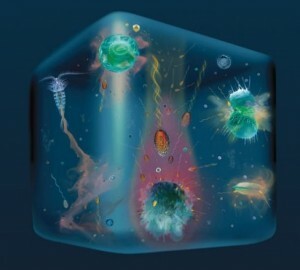 For example, microbial communities are the main decomposers of dissolved organic matter in the oceans, and therefore affect global phenomena, including biogeochemical cycles. However, the ecological principles governing interactions within marine microbial communities largely remain a black box in our models of such processes. We are currently developing new tools based on microfluidics and on the synthesis of artificial marine snow to recreate microenvironments in which we can precisely control conditions of nutrient availability and environmental conditions. By combining these tools with high-resolution microscopy, we are working to unravel the complexity of marine microbial communities, with regards to the spatial distributions and functional interactions of microbial populations and the effects on their microenvironment. For example, competition–dispersal trade-offs have been observed in marine bacterioplankton populations with very similar genomic compositions, resulting in two vastly different foraging behaviors to exploit nutrient particles, and thus a potential mechanism for coexistence. A number of projects in this area are underway in collaboration with other research groups from ETH Zurich, MIT and other US universities, supported by the Simons Foundation. For more information, please contact Frédéric de Schaetzen (deschaetzen@ifu.baug.ethz.ch), Zachary Landry (landry@ifu.baug.ethz.ch) or Uria Alcolombri (alcolombri@ifu.baug.ethz.ch). Microbial behaviors influence the productivity and biogeochemistry of the ocean, yet they occur in minuscule volumes that cannot be sampled by traditional oceanographic sampling techniques. 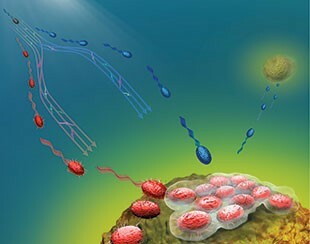 In particular, many marine microorganisms use chemotaxis to exploit ephemeral nutrient patches or to reside within the phycosphere, where exchange of nutrients and signaling molecules provides a favorable microenvironment. As a result of a methodological gap, most of our knowledge concerning the mechanisms underlying these interactions is derived from laboratory-based experiments. 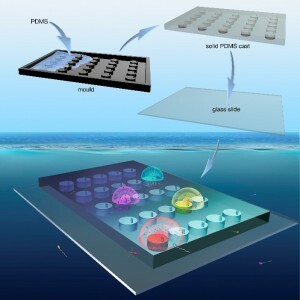 To bridge this gap, we leverage techniques from microfabrication and traditional fabrication to build deployable devices capable of mimicking microscale phenomena at appropriate spatio-temporal scales. Recently, we have developed an in situ chemotaxis assay (the ISCA) and successfully deployed it in the ocean in collaboration with colleagues in Australia. When coupled with ecogenomic approaches, the ISCA enables us to probe the role of chemotaxis in a number of fundamental microbial processes in the natural environment. Ongoing work is riding the wave of low-cost microcontroller and microcomputer technology, as well as rapid advances in 3D printing. So far we have focused on a single behavior (chemotaxis), but targeted development of in situ instrumentation to assay microbial behaviors or interactions is at an exciting point, where an endless array of opportunities exist, in the ocean and other natural environments. See here for further details on building and using your own ISCAs. For more information, please contact Bennett Lambert (lambertb@ethz.ch), Estelle Clerc (eclerc@ethz.ch) or Vicente Fernandez (fernandez@ifu.baug.ethz.ch). Single-cell studies have the potential to transform environmental as well as human microbiome research. 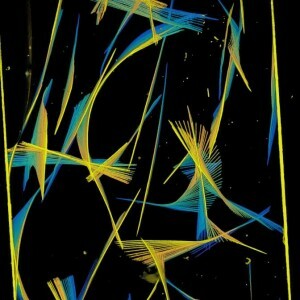 However, progress is currently limited by the difficulty of sorting cells according to function and thus most studies are performed on randomly selected cells. Recently, we have developed a fully automated optofluidic platform for high-throughput Raman-activated cell sorting (RACS) of unfixed microbial cells that are active under environmental conditions of interest. 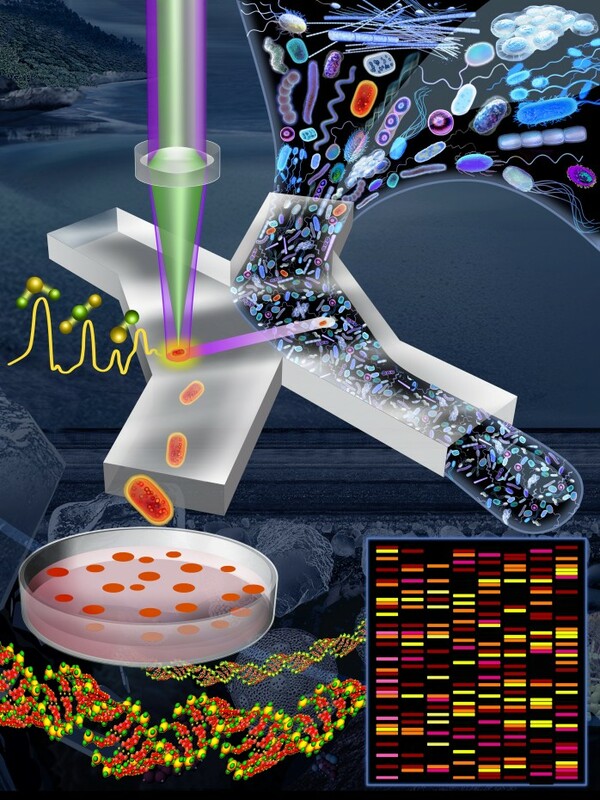 Our platform combines confocal Raman microspectroscopy, optical tweezers, microfluidics, and heavy-water (D2O) based activity labeling of microbes. A commercial Raman microspectroscope is customized for simultaneous Raman measurements and microscopic image acquisition. 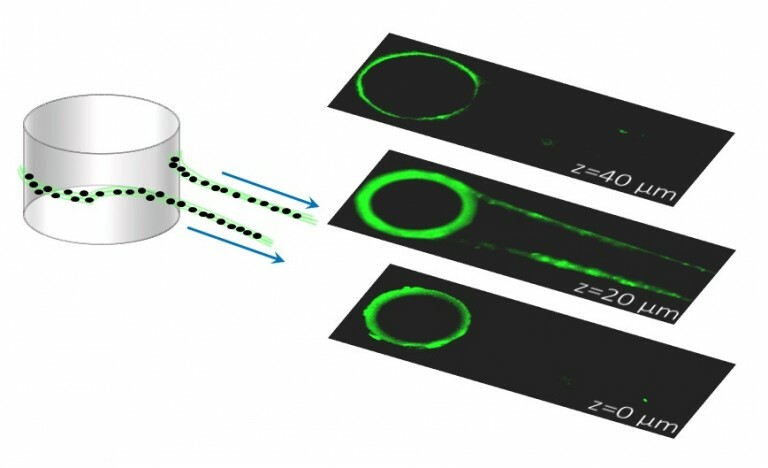 In a microfluidic device, individual cells are captured by optical tweezers, their Raman spectrum is measured to assess their labeling status, and they are then automatically released to either collection or waste outlets. The entire process is controlled by a graphical interface. The RACS platform achieves a throughput of >200 cells per hour with very high sorting accuracy (>98%), opening the door to high-throughput functional and genomic studies of bacteria with specific traits of interest. For more information, please contact Kang Soo Lee (leeka@ethz.ch), Jen Nguyen (nguyenje@ethz.ch) or Vicente Fernandez (fernandez@ifu.baug.ethz.ch). Chemical reactions in subsurface environments can be mixing- and/or kinetically-driven. Mixing is the process that brings reactants into contact with each other. The topology of the system, the heterogeneity in the flow field, the rheological properties of the fluids involved, and the presence of partially miscible or immiscible phases are some of the parameters that control mixing and reactivity. Microbiology can play a major role in these environments, both in controlling the local dynamics (by clogging and re-routing of flow due to biofilm formation) and ultimately in determining the biogeochemical properties (through nutrient cycling). We study the consequences of mixing processes on the kinetics of fluid-fluid, fluid-solid, and biologically-induced reactions in porous media. A current project in particular focuses on understanding the behavior and growth of bacteria in the vadose zone, the partially saturated zone of groundwater in which a solid phase, water and air coexist. To tackle these problems, we use microfluidics and confocal microscopy, together with numerical and theoretical modelling. For microbial ecology in the vadose zone, please contact Dorothee Kurz (kurz@ifu.baug.ethz.ch). For additional work on transport in the subsurface, please visit the group webpage of Dr. Joaquin Jimenez-Martinez (https://www.sepgroup.ethz.ch).